One of my beauty obsessions is having soft skin. I am lucky enough and my skin feels soft even without any particular treatments, but I always use a body moisturizer once a day. My favorite ones are The Body Shop Body Butters. Oh Lord! They are so rich, dense and moisturizing. 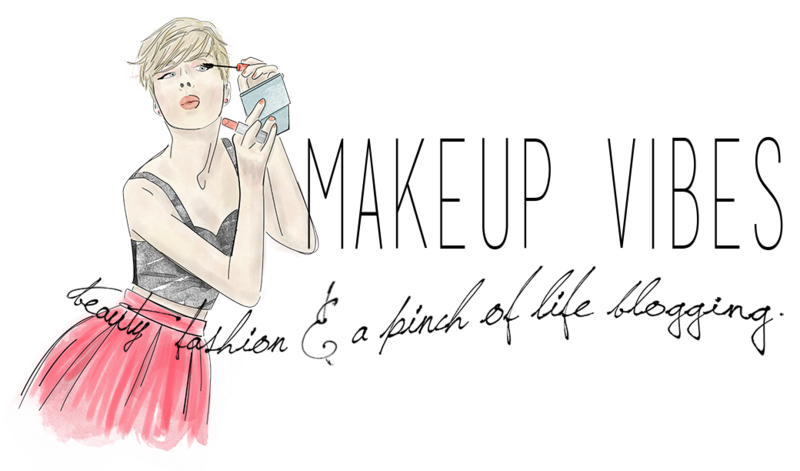 As for their scents, it is certain that you will find at least one to fall in love with. 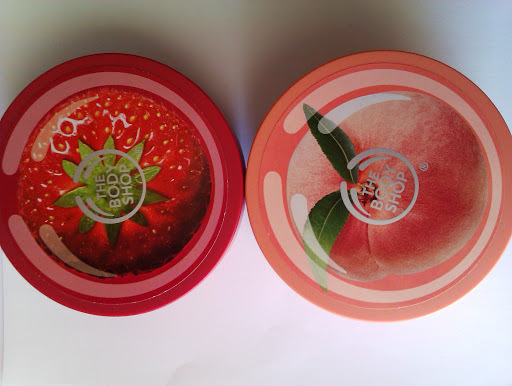 Lately I am trying the Strawberry and the Vineyard Peach Body Butters. Let’s start with the reviews. 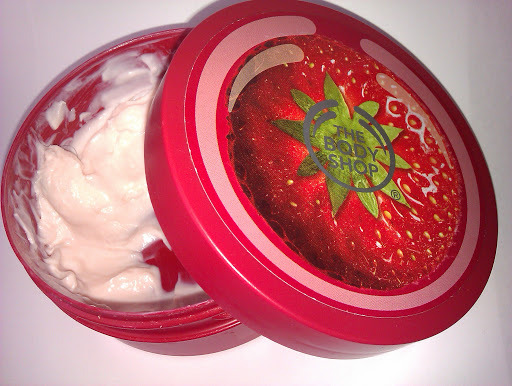 The Strawberry Body Butter has a sweet scent. First time I smelled it I found it delightful, then I thought it has something fake. After three months, I still can’t decide if I like it or not. Sometimes it smells like strawberry to me, but others I think it has a strong chemical scent. It is designed for normal skin and offers up to 24 hours moisturization. It is a rich and dense cream that gets easily applied and absorbed. 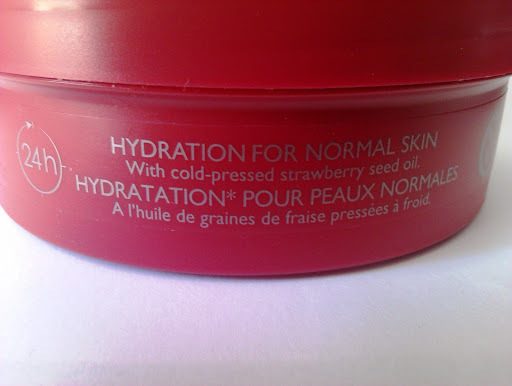 It contains strawberry seed oil, Community Trade shea and cocoa butter, ingredients that offer the long lasting hydration. The Vineyard Peach Body Butter is a limited edition. Oh girl! Go get it NOW! It has a heavenly scent, just like fresh picked peaches, that lasts all day long. It has a rich, buttery texture, just like all the TBS Body Butters, but it gets easily absorbed. It claims to offer a 24hour hydration and it totally does! It leaves skin super smooth and soft. It does a great work on feet and hard areas, like elbows or knees. I like to apply it every night before going to bed. It gives me joy, makes me dream and relaxes me in seconds. If I had to choose one of these two body butters, I would definitely go for the Vineyard Peach. One of the best body butters I have ever tried. The packaging is simple but chic and stylish at the same time. The jar contains 200ml of product and costs €15. Now I want to try the ones from their Christmas collection. Have you seen them? 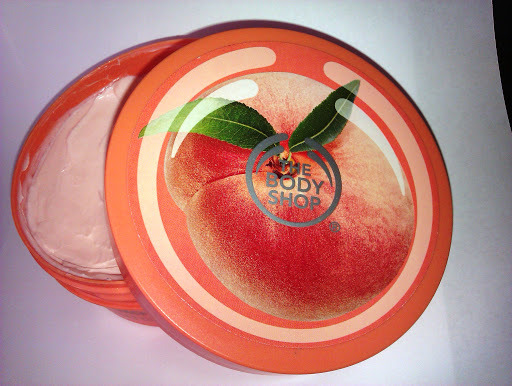 Have you ever tried The Body Shop Body Butter? Do you like them? Which scent do you prefer? Το ροδάκινο πραγματικά το έχω ερωτευτεί!!! Μμμ και η φραουλίτσα πρέπει να είναι τέλεια!